Pleated blind with Silvery Coating Shade on the back : Splash Resistant and blackout, energy saving, insulating effect: Heat and cold protection. Prevent external light from disturbing your home with our monolayer bouffant curtain. Ideal for placing in your front room or conservatory to control the amount of natural light you let into your home. 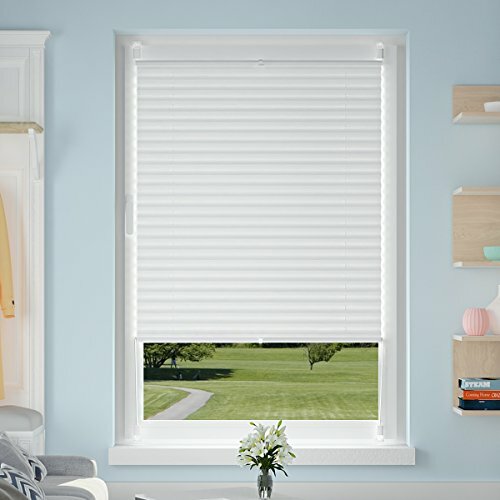 With a combination of functionality and design these blinds provide effective sun protection, making them a superb option for bedrooms, living rooms and offices. With an ergonomic sliding rail and two handles, this blind is quick and easy to adjust. Using either the top or bottom handle, simply adjust the blind to create your desired lighting effect.